The developers of Forza Motorsport 7 have announced that they’ll be removing loot boxes, aka prize crates, from the game. This will take a long while, until winter, in fact. On the bright side, the only things left in prize crates right now don’t offer any competitive advantage. Another one bites the dust, and good riddance to bad rubbish. 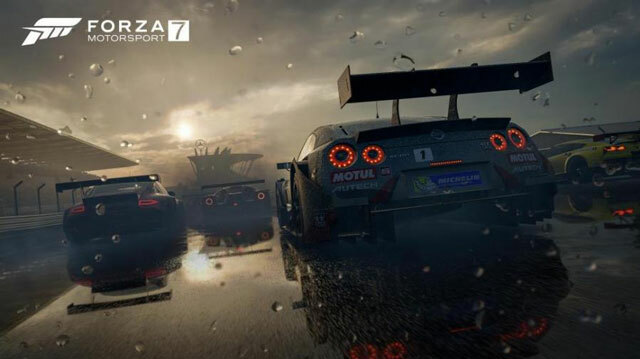 Following the example of several different games, including Shadow of War, Forza Motorsport 7 devs have announced that they’ll be pulling loot boxes from the game. Prize crates, as they’re called in Forza Motorsport 7, have caused great ire in the community, as they well should have. The backlash was so severe that they actually never charged any real-world money for them. So, it only makes sense that they’ll be taking them out for good. Also, according to the announcement, Paid Tokens won’t be coming to Forza Motorsport 7 nor Forza Horizon 4. In the announcement, Alan Hartman of Turn 10 does point out that removing the prize crates from the game will be a lengthy process. Which, to me, only serves as further evidence that the developers were absolutely planning to start charging for the prize crates at some point, and the ire of the fanbase was the only thing that stopped them, but never mind that now. Long story short, the process of removing the loot boxes from Forza Motorsport 7 is going to wrap up some time during the winter timeframe. The first step towards this goal has already been made this month. The devs have unlocked the 100 previously locked exclusive cars, and then completely removing cars from prize crates. The only things that remain in the loot boxes are those that shouldn’t offer any kind of competitive advantage: Driver Gear suits, Mods and badges. Those will remain in the prize crates until the devs remove the loot boxes completely.